Before a treatment, your skin will be cleansed. Dr. Tomar will then identify the exact areas that are to be targeted. After doing so, a special gel will be applied to these areas. This laser lift is then performed by using a special instrument to deliver ultrasonic waves where needed. This energy is transmitted into the deepest layers of your skin, where it begins tightening and toning almost immediately. The entire procedure normally takes between 60 and 90 minutes. Click through the image below for an interactive tour of our treatment room. Most patients notice only mild to moderate discomfort during one of these procedures. Although some benefits can be seen right away, the skin will continue to grow firmer for two to three months after having this nonsurgical facelift. Patients are able to return to their normal activities immediately after undergoing this nonsurgical facelift. Even so, they should avoid direct sunlight, and may want to forego wearing cosmetics for up to 24 hours afterward. What side effects are common with Ultherapy®? Some mild redness and tingling could be noticed shortly after having a laser lift. The face may also be tender to the touch. These symptoms normally go away after only a few hours. In rare cases, light bruising and swelling could be present as well. Most people who fare well from this laser lift have only moderately sagging skin and do not wish to undergo a traditional facelift. Those who are preparing for an important event such as a wedding sometimes choose one of these procedures because it provides gradual benefits that also appear very natural. Who should not undergo Ultherapy®? Those with an active skin infection should wait until it has healed. Patients with an autoimmune deficiency or circulatory disorder need to discuss these conditions with Dr. Tomar beforehand. Ultherapy® should not be performed in conjunction with any other cosmetic procedure without consulting Dr. Tomar as well. After Ultherapy®, others will notice your new look, but will not necessarily be able to tell you have undergone a procedure. The fact that it provides such natural looking results is one of the things that make Ultherapy® the right choice in many instances. Skin rejuvenation treatments are considered to be elective, so most insurance providers won’t cover the costs. To help make Ultherapy® affordable and accessible for everyone, Supriya Aesthetic Dermatology offers financing options via CareCredit®. We also accept cash, personal checks, and major credit cards. Contact us today if you have any questions about the cost of Ultherapy®. 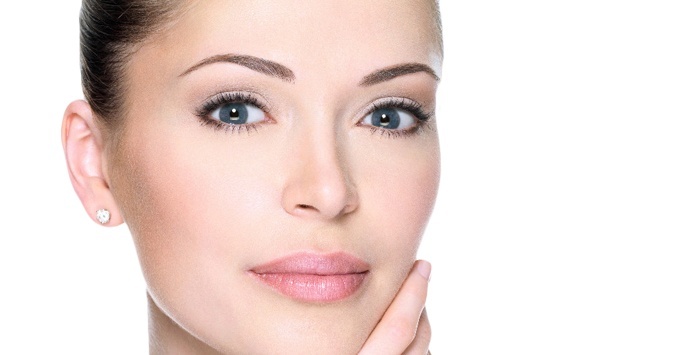 Rather than undergoing a facelift, many people are now choosing Ultherapy to help them turn back the clock. To find out more about this nonsurgical facelift, contact Supriya Aesthetic Dermatology at 561-805-9399.